Home » awards » The Open Laboratory 2010: for sale now! The Open Laboratory 2010: for sale now! 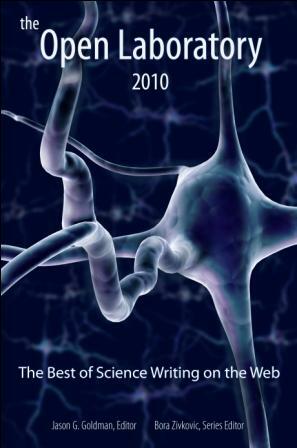 Looking for once place to read the best science writing of 2010? Want a peer-reviewed resource that you can show your colleagues that are social media naysayers to demonstrate the power of science blogs? Look no more: Open Lab 2010 is now available for purchase at Lulu.com! Two of my posts on IVF were selected for Open Lab (to be put into one essay). I’m brushing shoulders with some very fancy writers. I do hope you’ll buy it. By kateclancy in awards, communication, ivf, ladybusiness anthropology, metablogging, open lab, pregnancy, science, women on March 22, 2011 .